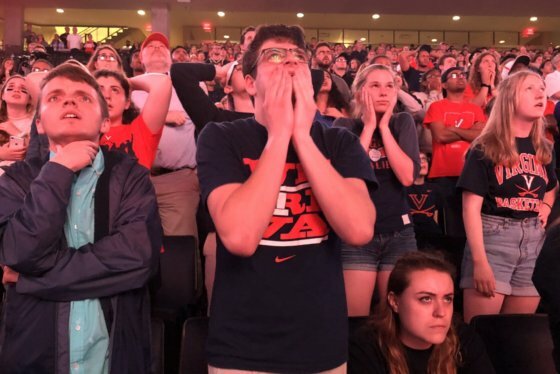 After University of Virginia's historic NCAA championship game win, could there be an increase in college applications for this already very selective school? Two professors who have studied the championship effect explain why there could be an influx. 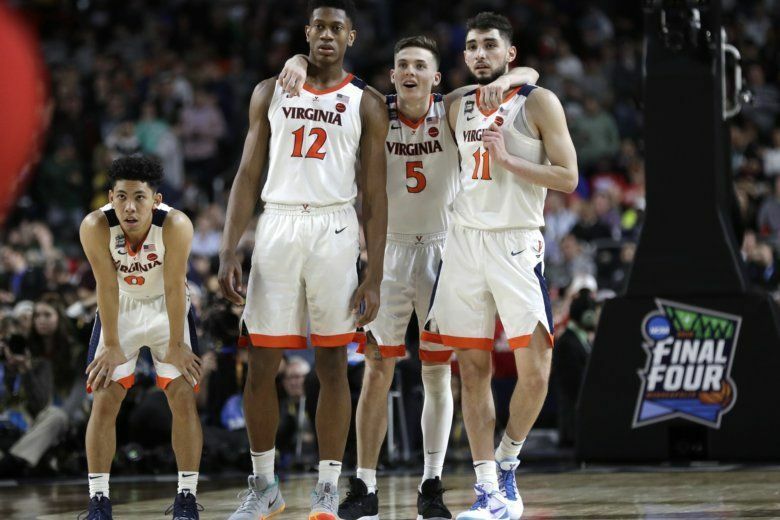 The University of Virginia wasn’t a small or unknown school before its run through this year’s NCAA Tournament, which culminated with a national title Monday night. It draws applicants from around the country and around the world, and only 26% of the more than 37,000 students who applied for admission last year were offered admission. So the admissions department isn’t exactly bracing for an even more difficult job of screening potential students next year. But maybe it should be. But it turns out athletic success can tend to be one of those factors. “The exposure, especially national exposure” generated by national TV and other attention, “especially when they win the championship, there’s a noticeable increase in the number of applications that that university ends up receiving, particularly from out of state students,” said Kyle Judah, who published a study on the impact college sports can have on university admissions in the Journal of Sport Administration and Supervision. A subsequent study from a Harvard Business School professor found that athletic success might be more of a lure for students with a lower academic profile, it still matters to those who have better qualifications. “Surprisingly, athletic success impacts applications even among academically stronger students,” wrote Doug Chung, an associate professor of business administration at Harvard Business School. But she admitted that students visiting during some college fairs this week have shown enthusiasm for what happened Monday night, and Judah said it’ll start to become apparent later this fall.